Sobering report on the labor market that the Class of 2016 faces out of the Economic Policy Institute. Here's a quote that suggests how our economy has gotten re-structured. The high share of unemployed and underemployed young college graduates and the share of employed young college graduates working in jobs that do not require a college degree underscore that the current unemployment crisis among young workers did not arise because today’s young adults lack the right education or skills. Rather, it stems from weak demand for goods and services, which makes it unnecessary for employers to significantly ramp up hiring. The solutions are ones that are important for adult workers, as well, as follows: Keep interest rates low as the economy strengthens; raise the minimum wage; enforce labor standards and most definitely by providing a path to citizenship for undocumented students. What I would add to this is that we need to get involved in politics at all levels—local, state, and national—though most particularly at the state and local levels. 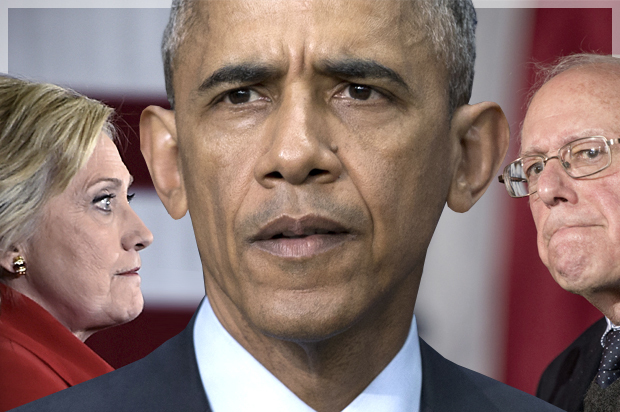 If we wait for the feds to "save us," that's a long shot. Not that there isn't always also a federal agenda for good policies, but rather that we need a two- or three-part strategy. One engages national, the other state, and a local strategy that is community anchored and organic. I've written elsewhere on how we need to grow our own teachers instead of outsourcing what amounts to work and opportunity for education management organizations that get our communities' hard-earned tax dollars for an education that is still not about the culturally relevant education that our communities want and need (see this morning's previous post). Let's start setting up our own indigenous, grassroots institutions that can result in job-creation strategies locally. We need not only to grow our own teachers as I have suggested elsewhere, but we need to grow our own everything—principals, administrators, city council members, arts leaders, business leaders, scientists, architects, and so on. This is an intentional, assets-based framework that draws on the strengths and talents of our communities that through partnerships and the intelligence, wisdom, and experience that resides within to articulate a fresh vision and strategy that is anchored in the identities, lives, and structures of opportunities that exist organically in our communities. Due to the initiative of one of our members, Dr. Emilio Zamora who also sits on the Hispanic Quality of Life Commission, was able to set up a funding stream that will soon result in a paid internship to help us with this effort. Several student volunteers in our group have now also decided to pursue masters and doctoral degrees such that our very presence as university faculty, community members and advocates, has resulted in a pathway into advanced degrees. To learn more about this initiative that has in fact inspired all of us, as well, consider reading this recent publication titled, “Academia Cuauhtli and the Eagle: Danza Mexica and the Epistemology of the Circle.” And like us on Facebook. Just like with our food, or our best nutrition, we also need to go organic with our educational institutions. We need to rediscover grassroots democracy in and for our times—and with the schooling of our children and youth at the center. Summary: Young high school and college graduates were hit hard in the Great Recession. While young graduates’ economic prospects have brightened in recent years, they still face elevated unemployment rates and stagnant wages. Many groups—including young graduates of color, as well as young high school graduates entering the workforce—face particularly difficult economic realities. This report looks at trends in unemployment, underemployment, and wages of young high school and college graduates to paint a picture of the economy facing the Class of 2016. A majority of poll respondents said that when their children make it to college, it is largely due to the student’s and family’s efforts, while only about 15 percent said the school’s role was the most important factor. “Too often, the prevailing dialogue faults families of color for bad educational outcomes instead of grappling meaningfully and seriously with the need for the system to make different policy choices." My only quibble with this piece and by extension, the title of the report is with the title and reference to the "new majority." As a sociologist, I must point out that the term, "majority," doesn't refer to numbers but rather to power. That is, a group can be a numerical majority but still lack cultural, political, economic, and social power—and thusly, be a minority. The concept of majority-minority relations points out those that are in, as opposed to those that are not, in power along all of these dimensions. Stated differently, simply being a group that is large in numbers doesn't automatically equate to or mean that they call the shots on the education they receive. Repression and Anglo conformity can still occur. Why aren't we a bilingual or multilingual nation by now if minority groups hold power? That said, this new, numerical majority—which is itself not actually new, but part of the very national landscape out of which majority-minority relations have been forged—has a voice and an important perspective on what a quality school can be. Adequate school funding, highly qualified, anti-racist teachers, and a rigorous multicultural/ethnic studies curriculum is what should begin finding a home in our public education system if parents' and communities' sense of possibility is to take root. in our communities. To seriously re-order our priorities and effectuate change, we need our community institutions to partner with school districts and universities in order to get the teachers our children need and the education our communities deserve. 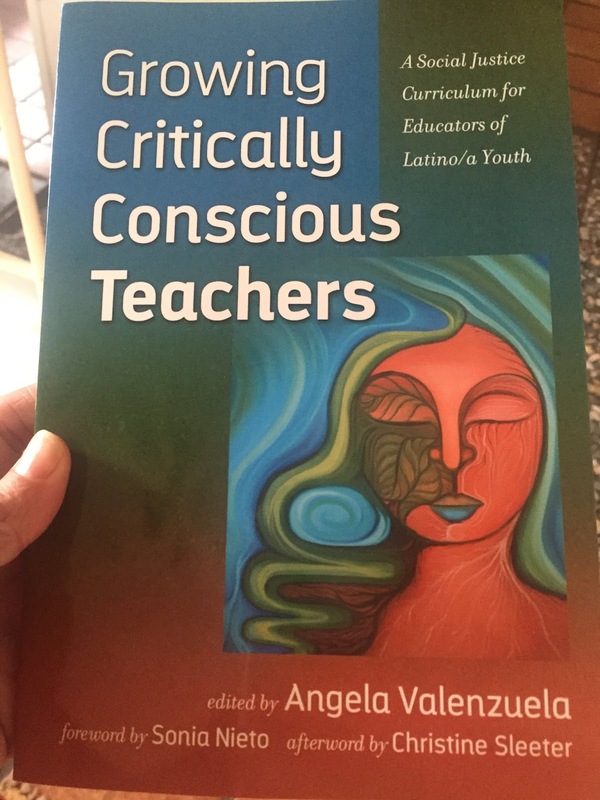 All royalties will go to our national organization, the National Latino/a Education Research and Policy Project (NLERAP) in support of our grow your own Latin@ Teacher Education Institutes Initiative in 5 cities in 5 states at present. 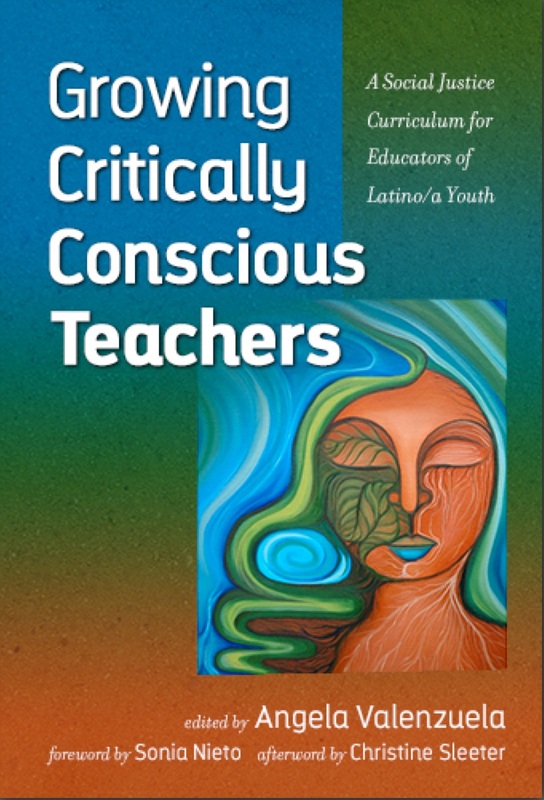 Contributors: Carmen Mercado Barbosa​Adele Arellano, Jennifer Ayala, Margarita Margie Ines Berta-Avila​, Julio Cammarota​, José Cintrón, Barbara Flores, Melissa Rivera, and Louie Rodriguez​. Thanks to Sonia Nieto​, Christine Sleeter​, and Antonia Darder for the foreword, afterword, and blurb, respectively. Modes of thought| For the first time, classrooms in public schools are filled mostly by nonwhite students. The concerns of minority parents could change American schools and education policies. America’s public schools are a snapshot of a changing America: Since 2014, for the first time in the country’s history, a majority of those in public schools have been students of color. That’s more than just a statistic. The rise of this “new majority” promises to have sweeping effects on American schools over time. The voices and interests of these students and their parents will need to be better woven into the decisionmaking that affects United States classrooms, many education experts say. What’s their emerging message? In part it’s in keeping with the age-old desires of families everywhere: a good education in safe schools. But it’s also a call for greater equity in school quality – a longstanding sore spot in America’s education system that’s growing harder to ignore. And for some in this new majority, the definition of a good education includes shaping lessons that truly embrace diversity. The poll focused on education, and that one finding suggests that, despite years of education reforms, states have a long way to go to succeed in the dawning new-majority era. One of the places to start, judging by responses in the poll, is figuring out how to better fund schools in communities that don’t have the tax base of middle-class suburbia. And opportunity is the goal for these new-majority parents. Judging by the poll and focus-group responses, they want their kids held to rigorous standards and expectations, and they’re ready to do their part to prod their children forward. They just want schools to be up to the task at hand. “Will states and school districts rise to the occasion and build a K-12 public education system designed to address the educational needs of students of color? Or will they shirk their duty … and condemn a majority of public school students to a future with little to no promise?” asks Wade Henderson, president and CEO of The Leadership Conference Education Fund, in a report on the poll results. Mr. Henderson’s group is the research and education arm of a large civil rights coalition, and sponsored the new poll for a report titled, “New Education Majority: Attitudes and Aspirations of Parents and Families of Color.” The survey included 400 black and 400 Latino parents and guardians of school-age children, interviewed by phone in March by the polling firm Anzalone Liszt Grove Research (ALG). More than three-quarters in the poll said schools in low-income communities – often those with many African-American or Latino residents – receive less funding than schools in wealthy communities. Parents who believed there are racial disparities in the quality of education attributed it primarily to this lack of funding. The next two factors they pointed to: lower teacher quality and overall racial bias. “I’ve seen it so many times before. They don’t offer to black schools what they offer to white schools,” an African-American parent told a focus group in Philadelphia. In all, 6 in 10 Latinos and 8 in 10 African-Americans in the survey said schools serving their group receive less than schools in white communities. The vast majority also believed students should be challenged more and that low-income students should be held to the same or higher expectations, because of the importance of education as a path out of poverty or limited opportunities. The call for better schools and greater equity comes at an important moment in national education policy. States are working to refine their school accountability systems within the parameters of the new federal education law known as the Every Student Succeeds Act. The law replaced the law known as “No Child Left Behind,” giving states greater flexibility in how to ensure strong schools. As is often the case with polls of parents, more than 8 out of 10 said the school their children attend is good or excellent. But even within this question, the backdrop of racial equity lurked. Among African-Americans whose child attended a school that is mostly white, 94 percent rated the school highly, compared with 75 percent of those whose school was mostly black. When asked an open-ended question about what factor is most important to make a great school, half cited good teachers. But such family support is not always top of mind for educators at struggling schools. In a high school in Florida that had some of the worst outcomes, an intervention leadership team at first thought of the families as largely unemployed and not particularly valuing education. The team believed that, in turn, this caused the children to not aspire to higher education. After they surveyed the students, they found quite the opposite, according to an account by Rebecca Carlo, then-coordinator of a Florida project working with struggling learners. Nearly all the students believed attending school beyond high school was an important goal, and more than 9 out of 10 said their family supported their educational goals and encouraged them to keep trying when things were difficult. But to truly engage with families in Latino and African-American neighborhoods to ensure equity will require a deeper dive into the subtext of the poll, said Jeffrey Duncan-Andrade, a longtime teacher in largely Latino East Oakland, Calif., and a professor at San Francisco State University, during a panel discussion following the poll’s release April 11. Treat yourself to a great speech. 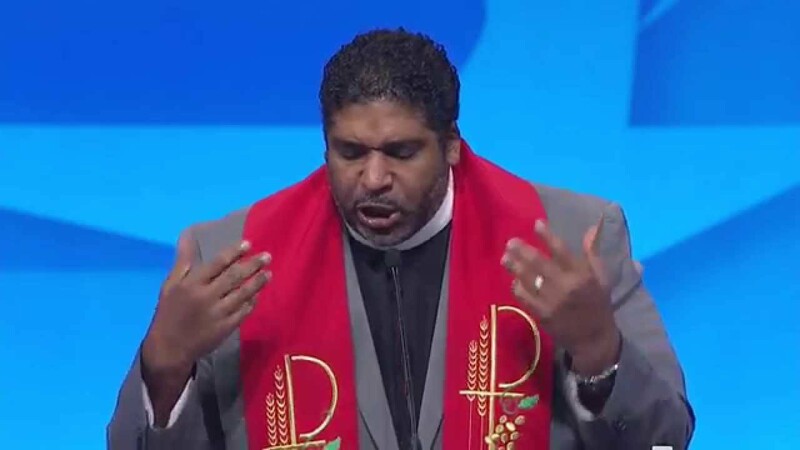 The Reverend William J. Barber delivers here a brilliant defense of public education and its central importance in furthering the goals of democracy. This is a must see. Thanks to Dr. Julian Vasquez-Heilig for sharing. Thanks to Teachers College Press: You're the Best! 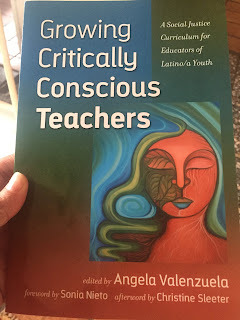 I want to express my gratitude to Sarah Biondello, Acquisitions Editor at Teachers College Press, for shepherding our co-published manuscript, Growing Critically Conscious Teachers: A Social Justice Curriculum for Educators of Latino/a Youth, to completion. Before Sarah, the now retired Marie Ellen Larcada, was a true friend and motivator. 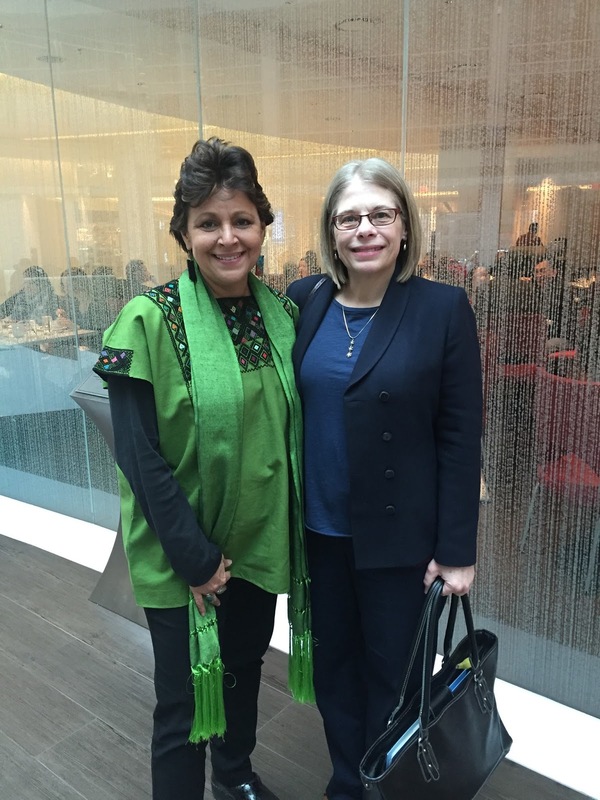 For us in the National Latino Education Research and Policy Project #NLERAP, this has been a long journey much of which is captured in the manuscript. education—armed with a community-based, social justice consciousness—residing at its core. The book conveys a model for this in terms of a community-anchored framework, a method, curriculum, and pedagogy. It offers a clear structure that we hope will inspire communities throughout the nation to undertake similar grassroots initiatives. Although we focus on the Latin@ community, it is directly translatable to diverse communities everywhere. It is not enough for our teachers to simply command knowledge and skills. They must also optimally possess the kind of dispositions that research has found not only "works" for minority youth, but majority, as well. This is a community-oriented, social justice approach that addresses the achievement gap squarely not by looking at what children lack, but by considering how we can—to borrow from Dr. Esteban Díaz—create "positive zones of success" instead of "negative zones of failure." 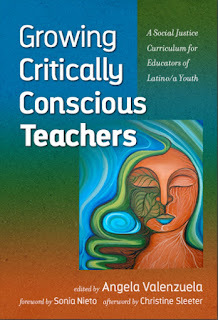 As articulated within, teacher's work is a collective endeavor, ideally situated as part of a larger, grander vision as historically articulated by our communities that continue to challenge hegemonic curricula and oppressive, institutional structures that "subtractively school" our youth, leaving them academically vulnerable to academic failure. That is, under the rhetoric of assimilation or Americanization, they continue to eviscerate our children's home-based languages, cultures, and identities much to their academic detriment. If there is anything that we've learned from this work, it's that there are no short cuts. Growing our own teachers and future leaders is a slow and patient process, yet we are truly all the better for it. Once an initiative like ours "takes root" in your communities whereby the precise stakeholders that stand to benefit from this grow-you-own teacher model are invested, the sky is the limit. We can grow our own teachers, our own graduate students, our own professional class, our own business leaders, our own intellectuals, our own social justice warriors and as a consequence, a brighter future. Again, TC Press, you're the best! You can purchase the book here. Check out this important piece on charter school expansionism in the U.S. This is an interview of Dr. Preston Green whose research pulls down the curtains on the ever-expanding charterization of public education. Akin to the unregulated system of subprime mortgage loans that created a bubble in the market by eliminating "mortgage-originator risk," the charter school agenda is similarly doing so by removing the caps on the expansion of charter schools in states across the U.S., as well as by simultaneously allowing for multiple (unregulated) authorizers. Green: There is an intense push to increase the number of charter schools in Black, urban communities, where they’re very popular because of the dissatisfaction with traditional public schools. Because of this desire for more educational options, these communities are more likely to support policies that could lead to charter school bubbles forming. In fact, I would argue that we are at “ground zero” for the formation of such bubbles. Supporters of charter schools are using their popularity in black, urban communities to push for states to remove their charter cap restrictions and to allow multiple authorizers. At the same time, private investors are lobbying states to change their rules to encourage charter school growth. The result is what we describe as a policy “bubble,” where the combination of multiple authorizers and a lack of oversight can end up creating an abundance of poor-performing schools in particular communities. Green: If we’re going to have multiple authorizers, we have to impose standards to ensure that they do a good job, because without those standards there is really no incentive for them to ensure that these schools are operating in an acceptable manner. I should also mention putting sanctions in place to prevent the really squirrely practice of “authorizer hopping,” where schools are closed by one authorizer and then find another authorizer, which has happened quite a bit in places where oversight has been really weak, like Ohio. Further, authorizers should guard against predatory chartering practices, including fining students for discipline violations. I concur with Dr. Green that the present discourse on so-called "choice" exploits poor folk's desires for a higher quality education for their children. And many of these families and communities are black and brown. Here in Austin, 100 percent of the charter schools are located in East Austin, on the other side of the non-affluent side of town. Zero are located west of I-35. If they're good enough for that side of the highway, then they should be good enough for the other side, too, yet you don't see west siders clamoring for their children to get in. To the contrary, public schools work for them. So why don't our public schools work for all of our children? The short quick answer is the politics of education that the charterization of public education does not resolve. In fact, by postponing for yet another generation children's and communities rights to their own self determination and pretending to operate blissfully outside of the logic of the very competitive, market-based, system that privileges whites, capitalists, and the upper class, they perpetuate a diminished sense of democracy. There are, of course, always exceptions, but that's the point: They're exceptions. We as a society will be paying the cost of this "de-form" for decades if we as a public don't get involved. Stop complaining about public schools and get involved. Run for office. Talk to your board members. Attend board meetings. Exercise your democratic rights; don't forfeit them to a business or corporation. Be an agent of change and help preserve our democracy. Sí se puede! Yes, we can! Jennifer Berkshire: It’s unusual to see the words “hair-raising” and “academic study” in tandem, but your new study merits that marriage. You and your co-authors make the case that, just as with subprime mortgages, the federal government is encouraging the expansion of charter schools with little oversight, and the result could be a charter school “bubble” that blows up in urban communities. Do I have it right? Berkshire: There’s a great moment in the new movie The Big Short when Selena Gomez turns to the camera and explains to the world what collateralized debt obligations are. Here’s your opportunity to do the same, but for the convoluted world of charter school authorizing. Green: Promoters of charter school expansion are calling for an increase in independent authorizers, such as nonprofits and universities. Supporters of charter school expansion believe that multiple authorizers will issue more charters, in part, because they are less hostile to charter schools than school districts. However, our research suggests another reason that multiple authorizers result in more charter schools: multiple authorizers are like mortgage originators with no skin in the game. In other words, these authorizers don’t assume the risk of charter school failure. That means that if something happens with the charter school, the authorizers don’t have to clean up the mess. Multiple authorizers may also weaken screening by giving charter schools the chance to find authorizers who “won’t ask questions.” In fact, CREDO has found that states with multiple authorizers experienced significantly lower academic growth. CREDO suggested that this finding might be due to the possibility that multiple authorizers gave charter schools the chance to shop around to find authorizers who wouldn’t provide rigorous oversight. Berkshire: Your paper raises the spectre that a charter school “bubble” may be forming, particularly in urban areas where these schools are expanding the most rapidly, and often with the least oversight. Can you explain how a charter school bubble would form? And how can I bet against it? Berkshire: What’s fascinating and frankly disturbing about your research is how well the subprime analogy fits, down to the edu-equivalent of predatory lending practices in particular communities. But it seems important to point out that these bubbles have their origin in worthy policy goals, like increasing home ownership, or sending more kids to college. Who would be against that? Green: Who would be against that? That’s the power of the choice argument. Folks in poor communities and Black, urban communities obviously want better opportunities for their kids. And I don’t blame them for really pushing for better options. But I do feel that there are people taking advantage of their desire to get better opportunities by pushing forward more options for charters without ensuring that these schools are sufficiently screened. The argument that I hear all the time that drives me crazy is: “Obviously this is a good choice. Look at all the parents who are standing in line.” That’s just evidence that people want a better education. That doesn’t mean that they’re actually getting it. What I’d love to see happen is that we have programs and oversight in place to ensure that their choices have meaning. I’m afraid that we’re going down a path right now where we may not be setting up those mechanisms to provide those assurances. Berkshire: You make a provocative argument that what could ultimately cause the charter bubble to burst in these communities is lawsuits, including those filed by parents against charter schools on civil rights grounds. Explain. Green: You’re already starting to see that happen. In New Orleans, for example, charters have been sued for failing to provide students with disabilities with an education. This is such a problem that the U.S. Department of Education issued a guidance letter last year reminding charter schools that if they receive federal money, they also have to comply with federal statutes such as Section 504 or Title 6. You may also start seeing state constitutional challenges, like we saw in Washington state. Where I see this playing out is that if you have too many charters or options that aren’t public having a negative impact on the education system as a whole, you may start seeing challenges in these communities saying that the state is failing to provide children with a system of public education, or that the options provided aren’t of sufficient quality to satisfy the state’s obligation to provide a public education. The assumption is that if kids fail to get an education in a charter school they can return to the traditional system. But what happens if you don’t have that option? You may soon see that develop in all of these urban settings. The really scary scenario that I could see happening is that you end up with all of these options that aren’t traditional public schools with insufficient oversight by the authorizers and no real pressure to get these schools to perform well. Berkshire: The paper ends with some very helpful suggestions about steps that might be taken to avert a charter school bubble. Since the subprime mortgage crisis taught us that your advice will be completely ignored, I want to give you the opportunity to share here. Berkshire: As someone who predicted the subprime crisis (who didn’t??? ), I’m going to go out on a limb and predict how this paper will be received. You, sir, will be characterized as an “anti-charter ideologue.” Is that an accurate description? Green: I used to be much more pro charter than I am now. I was really, really, really pro charter. I see my research as explaining the systems aspect of charters. I look at how these schools fit into the system of public schools, and at what terms like “public” and “private” mean in terms of oversight and student rights. This particular paper lays out how instances of fraud and mistreatment of students can happen systematically—how they’re embedded in the system and not just examples of rogue charter school operators. enough. This impression has been heightened by recent comments made by Susan Sarandon, who said she wasn’t sure if she could vote for the similarly centrist Hillary Clinton in a general election. racism is indeed what is causing whites to leave the Democratic party. the voting patterns of white Americans. Here is a great scholarship resource guide for undocumented youth by MALDEF. "This is an informative resource guide for students, parents, and educators. MALDEF is not a direct provider of the scholarships on this list. f you are interested in any of the scholarships listed here, please contact the organization directly using the information provided. Thank you."